Τhe central peninsula in the south of the Peloponnese is Mani a wild, rugged region. From the steep foothills of the snow tipped mount Taÿgetos, the pristine coastal coves and the tiny villages nestling amid olive groves, to the arid, desolate scenery in the south of peninsula, speckled with abandoned stone towers, the Mani has some of the most dramatic and varied scenery in the Peloponnese, much of it still wonderfully underexplored. 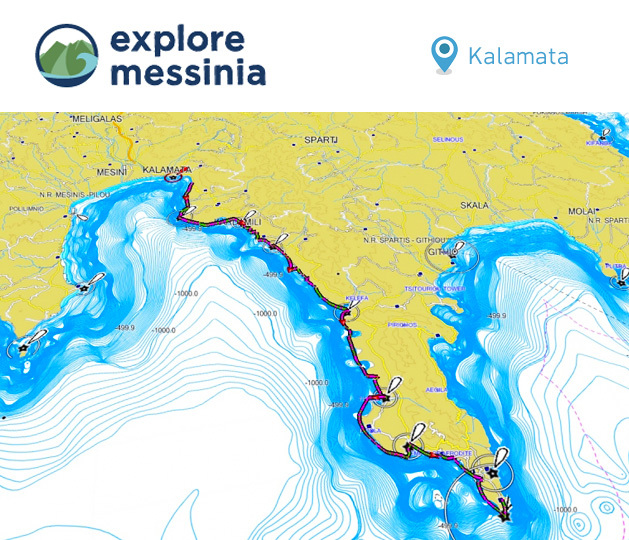 Explore Messinia offers a variety of multi-day Sea Kayaking Trips in the Mani peninsula. From the Messinian Mani (or outer Mani) which starts southeast of Kalamata and runs south between the coast and the mount Taÿgetos to the Lakonian Mani (or inner Mani) which covers the rest of the peninsula tο cape Tainaro the southernmost tip of the European mainland. From a single or two night camping trip to a week-long boutique hotel lodged trip, our multi-day trips will fit your adventure goals !